A little kid in a worn out dhoti inertly dillydallied toe stamps in the profound tidy. Rainstorm skies were slate-dim overhead. The severe warmth gave added sharpness to the possess a scent reminiscent of human rottenness in the Girgaun locale of Bombay's ghettos. Retailers moved drowsily; talk spilled in the bazaars. All of a sudden everything changed. 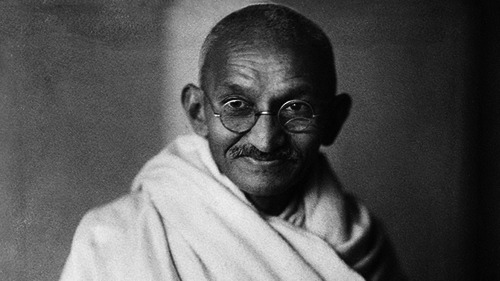 Word sputtered from mouth to mouth that the British Raj had imprisoned Mahatma Gandhi. No longer languid, Hindus in the Girgaun went crazy. Four twofold decker transports were destroyed. One was set aflame, blasted high in the sky. Movement growled. Nonnatives were stoned. So were police, who replied with nerve gas, at that point let go straightforwardly into the group. The little kid kept running starting with one inconvenience spot then onto the next. At long last he recalled a few blackjacks that he thought about. He got them, took up a remain in the city corner, sold them for one rupee each. In this way a week ago did a shocking hour, accursed by rationale and turned by emotionalism, go to the subcontinent of India. In an emergency caused by Mohandas Karamchand Gandhi's risk of open revolt, the British struck first. The pummeling of prison entryways on the pioneers of the Indian National Congress party was their solution to Gandhi's interest for prompt Indian autonomy. a wreath of blooms around his wizened neck, he was taken in the official's auto to Victoria station. "Pleasant old individual, that Gandhi," the official said. The prepare chuffed on to Poona. There the Mahatma was detained in the meandering stone "cottage" of the rich Aga Khan.